Rosalyn Fraad Baxandalldied October 13 2015, at the age of 76, from kidney cancer. Her political strategies were wide-ranging and adept - as they would have to be to further her sweeping vision. Baxandall was a shaping member of important second-wave feminist organizations (Redstockings and New York Radical Women) and a pioneer of abortion rights in the United States. She was a faculty member in American Studies at the State University of New York-Old Westbury, where she raised students' consciousness about women's history and labor history (and above all the intersections between the two). She wrote and edited books, wore costumes to "zap" demonstrations, marched in antiwar protests, introduced activists to each other, thought seriously about how to raise children. One of Baxandall's greatest contributions was her ability to identify and convey the many locations of the political. She focused on women's bodies (through her early organizing for abortion rights, for instance). She attended to cultural productions (drawing upon fiction, poetry and songs as evidence in her historical work). She addressed issues related to housing (joining the struggle for integration as an undergraduate at the University of Wisconsin-Madison and co-authoring a book about suburbanization, "Picture Windows: How the Suburbs Happened"). She focused on the domestic (pointing to her mother's growing dismay at having stepped away from her career to stay home with Rosalyn and her two sisters). She identified the political ramifications of child care - not only access to it (which she organized for in Madison), but also the content of the care (playing a significant role in the establishing of Liberation Nursery, New York's first feminist day care center). Baxandall's 1987 book about pioneering feminist, labor organizer, and Communist Party USA leader Elizabeth Gurley Flynn, "Words on Fire," is a case in point. She convincingly demonstrates that Flynn's experiences as a woman are inseparable from her effectiveness as a socialist organizer - giving Flynn a kind of credit that is all too rare. (Even the Communist writer Mike Gold, who dates his own political awakening to hearing Flynn speak in the park, turns her into a male character at the end of his important 1930 novel "Jews Without Money.") In her attention to Flynn's relationship with Marie Equi, she became one of the first scholars of the U.S. left to bring sexuality into her analysis - an approach that is finally picking up real steam in our moment. One of Baxandall's political strategies was a kind of brave and moving honesty that is also profoundly useful. For instance, when Baxandall spoke out in support of abortion rights in 1969 - at an event that would turn out to be a touchstone in that movement - she described her own (illegal) procedure. In the many areas of Baxandall's activism, she productively insisted on the centrality of labor - and also on the need to expand what "counts" as labor. Along with feminist academics Linda Gordon and Susan Reverby, Baxandall assembled a variety of testimony to create a valuable documentary history of working women in the United States, "America's Working Women." The book's approach is appropriately ambitious, taking into its purview factory and office work, farm and housework, service and kin-work. Later in her life, she manifested this focus by teaching at the City University of New York's Joseph S. Murphy Institute for Worker Education and Labor Studies - and in a prison, where, it is "becoming increasingly acknowledged, serious exploitation of labor takes place". Baxandall's longstanding devotion to social change did not come without a cost. She described the toll on her childhood of the 1950s blacklist in "Red Diapers: Growing Up in the Communist Left". She writes that her community was "shattered" during the traumas of the witch-hunt (which, of course, gives a layered meaning to the guerrilla-theater organization she worked with, the Women's International Terrorist Organization from Hell, or W.I.T.C.H., which did, target the House Un-American Activities Committee - HUAC - at one point). Still, Baxandall identifies positive results of her upbringing. Growing up, "communist values were our social and cultural identity," she writes, going on to note, "Even in the 1950s, the age of U.S. dominance and insulation, we learned a version of internationalism." When FBI agents parked outside her home for two days during the witch-hunts, the two girls responded by throwing tampons at their car. In 2014, Rosalyn Baxandall, was listed a a friend on the DuBois Clubs Facebook page. Individual endorsers of the event included Rosalyn Baxandall. 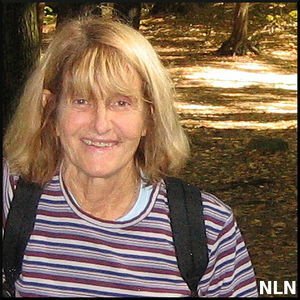 In early 2008 Rosalyn Baxandall for State University of New York/Old Westbury signed a petition circulated by Feminists for Peace and Barack Obama. In the coming elections, it is important to remember that war and peace are as much \"women\'s issues\" as are health, the environment, and the achievement of educational and occupational equality. Because we believe that all of these concerns are not only fundamental but closely intertwined, this Tuesday we will be casting our vote for Senator Barack Obama as the Democratic nominee for President of the United States. In 2009 Rosalyn Baxandall was listed as a signer of the Progressives for Obama website and as affiliated with American Studies, SUNY Old Westbury. Rosalyn Baxandall of the SUNY Old Westbury signed the statement. Baxandall is listed as an endorser of the Campaign for Peace and Democracy, as of March 15, 2010. This page was last modified on 4 November 2015, at 13:16.